A few weeks ago I received a set of TruGlo Tritium Pro night sights from Canik USA/Century Arms. With a price point of $99.99, they are competitively priced with other offerings available, and are an exceptional value. After receiving the TruGlo’s, I quickly installed them on one of my Canik TP9DA’s. Installation was relatively painless and straight forward. Utilizing an NCStar sight pusher on the rear, and a set of brass punches on the front, it took approximately 15 minutes for the entire installation. The rear sight installed without issue, but the front sight however needed a little finessing. The front sight did not want to install willingly, or with some persuasion from a bigger hammer. So, I used a small strip of sand paper to gently file a little off the bottom of the front sight. 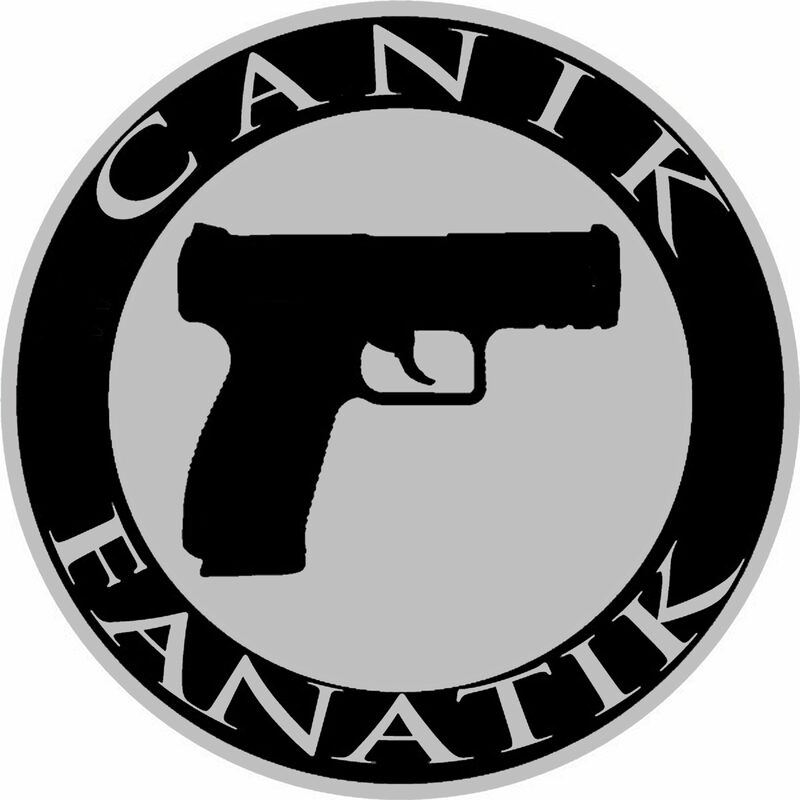 This is not unique to Canik, as on more than one occasion I’ve had to do this on other brands of firearms. And I might add, this is not always the case with Canik. I’ve installed night sights on other Canik models without issue. This may or may not be a necessary step for you when installing TruGlo’s on your own Canik. Once installed, I was eager to hit the range. With these specific night sights, in day time they mimic a traditional 3 white dot sight set. But as soon as available light begins to diminish, they really start to shine. I won’t bore you with a play by play of every range trip I made over the last month and a half. I will say though that I really like the sights and have now pressed them into service performing nightstand duty with my TP9DA. After my first range trip, I put the TP9DA back in it’s case and stored it in the safe. A couple weeks later I decided it was needing another trip to the range, so I grabbed the case, but before opening it I went into a room with no windows and shut off the light. In complete darkness, I opened the case and the night sights were putting off a very bright glow. I was pleased, but also not surprised. Tritium night sights are a different breed than fluorescent night sights and do not need to be charged by light. Comparing the TruGlo Tritium Pro’s to the standard Warren Tactical sights that are now standard on every Canik, I find the POA has shifted slightly. With the Warren Tactical, as well as older Canik sights, I tend to use a 6 o’clock hold when shooting. With the TruGlo however, I have to adjust and paint the target with the sights. I personally prefer to paint a target over the 6 o’clock hold, so that was a plus for me. TruGlo Tritium Pro on left installed on a Canik TP9DA, stock Warren Tactical sights on the right, mounted on a TP9SA Mod2. You can see that both TruGlo and Warren utilize a u notch rear, minus any dots on the Warren rear. Both sights are excellent in my opinion. The notch isn’t very wide, so it’s easy to get an accurate sight picture rather quickly. Another bonus for the TruGlo is the shape of the rear sight, which allows for one hand racking of the slide off a belt or other object, should you find yourself in a predicament that would necessitate such measures. At the range, as mentioned before, I find myself painting the target rather than using a 6 o’clock hold. Again, this is preferable for me so I’m sure I’ll be outfitting more Caniks with TruGlo sights in the near future. At the indoor range I’m limited to 50 feet, which in a real world self defense situation, most occur inside seven yards. I’m also not an expert marksman or serious competition shooter who gets in a lot of range time. I’m just happy I can manage to put holes in paper whenever I get some time behind the trigger. My primary carry ammo is Speer Gold Dot 124gr, and I use Speer Lawman or NATO 124gr for range time as often as possible. For defensive purposes, I’m very happy with the TruGlo sights. And as I said, once available light begins to diminish, they really start to shine. For the following images, I took the TP9DA into the basement with minimal light. I headed over towards the furnace which offered a darker area of the room to check the sights. You can see a little light spill pouring in from the doorway. But, no lights were on in the actual room at the time. You can see with minimal light the night sights are highly visible. You do not need complete darkness in order for them to glow. You can visibly see light from the other room spilling onto the wall next to the furnace, as well as falling across the back of my hand. After venturing into the basement to ensure my furnace was safe from intruders, I headed to a windowless room to test the night sights in complete darkness. Keep in mind all these photos are taken with my cell phone, as I don’t own any high speed, high quality imaging gadgetry. As you can see, in total darkness these night sights are highly visible. Though I do not advocate shooting a firearm in total darkness, it’s nice to know what the sights are capable of. I’m highly impressed with the sights so far and am now ready to pull out the credit card and order a few more sets. I’m thinking my TP9SA Mod2 (pictured right) and my TP9SFL will be the next two Caniks I own to receive a shiny new set. I’m also happy to report that the TP9DA outfitted with the TruGlo Tritium Pro night sights have now replaced my trusty TP9V2 as my main home/nightstand gun.